Most modern real word activities use an Internet where network traffic is exponentially increased. The attackers try different techniques and attempts for compromising and make unauthorized access to the network traffic of various network aspects. Intrusion detection systems (IDSs) used to detect both known and unknown/new attacks within the network system. Now a days researchers, security experts have implemented many different algorithms and mechanisms in order to enhance security measures. 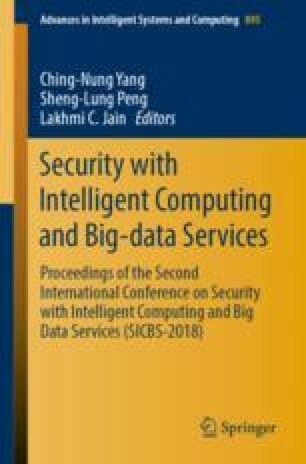 In this paper, we applied Random forest (RF) combined with conditional infomax feature extraction (CIFE) named as (RF-CIFE) for improving an Intrusion detection system model. In the experiment, four classifiers used are Support Vector Machine (SVM), C5.0, Multilayer Perceptron Neural Network (MLP) and Random Forest Algorithm. The conduction performance results using KDD Cup99 dataset prove that the combination of RF-CIFE with each classifier outperforms better in term of accuracy, detection rate, precision, false alarm rate and error rate.